This election is an opportunity to urge all parties to stand up for Ontario’s women and girls, and put gender equity front and centre. June 01, 2018. I first heard about YWCA from my mother. At the time, we were living in Toronto and she had no idea there were local associations in Canada. Her last experience with the YWCA was in Mumbai. She had moved there on her own to complete her education in Microbiology. She left her parents and seven siblings in Gujarat – approximately a seven hour journey by train. My mother told me stories of her time living at YWCA housing close to the university and the hospital where she worked. She discussed the importance of that safe space in a city that was bustling and in which she had no support system. She developed relationships while living at the YWCA that have supported her to this day. After moving to Canada and meeting my father, she had the support of the YWCA within her, woven into her internal fabric. When my father left, my mother raised me as a single mother. She referenced the strength within her that she developed with the support of the YWCA. Her strength supported me to graduate from medical school, find my personal definition of feminism, and discover the YWCA movement for myself. This time, I joined YWCA Toronto as a Board Member, and I am in constant awe of the power of this movement locally, nationally and globally. As a physician, I realize the impact of social determinants on health and how the feminist advocacy, programming, and housing work of the YWCA dramatically impacts the health and well-being of women and children. As a physician, I realize the impact of social determinants on health and how the feminist advocacy, programming, and housing work of the YWCA dramatically impacts the health and well-being of women and children. 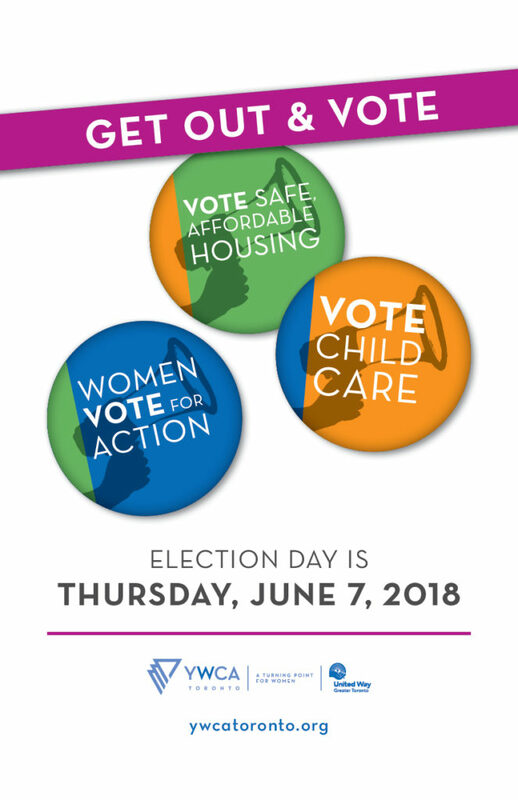 With the Ontario election now underway, I reflect on the critical partnerships between the provincial government and women’s organizations like YWCA in our society. The provincial government funds many social services – affordable public transportation; affordable child care; safe and affordable housing – all of which have an immediate positive impact on the lives of women and girls. It is important to see these resources, especially women’s social services, as an investment and not as an expense for taxpayers – anything less would be a short-sighted strategy that only deepens societal inequities. We have also seen repeatedly that it is much harder for women to have upward social mobility, especially after they have left an abusive situation. Women tend to end up having custody of children in most cases, which means that they are left with the responsibility of not only taking care of themselves but also for dependents. The services and resources provided by women’s organizations, with the support of the provincial government, helps women and their children to escape the cycle of violence. We need to protect, strengthen and grow these critical investments. Dr. Nikita Patel is a member of YWCA Toronto’s Board of Directors and Chair of the Board’s Advocacy Advisory Committee.